Crown Beach Hotel is a charming four star boutique hotel "national and local classification" located on the East coast of Mahe, the main island of the Seychelles with a superb beach, a beautiful lagoon, and large granite boulders, complimented by the surrounding mountains and its lush tropical trees. 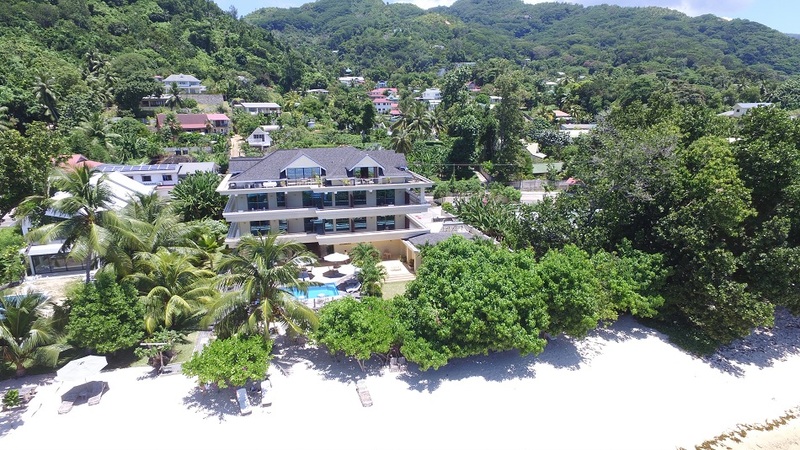 It is also situated in a beautiful environment, precisely named "fairyland" and very close to the famous beach of Anse Royale at 15 minutes walk (however note the roads are very narrow and not very praticable) or 5 minutes by bus which is a short adventure! Nestled on 2000 square metres of landscaped gardens, the hotel also features spectacular views of the bay surrounded by towering palm trees overlooking the warm turquoise waters, and for the early birds "a most stunning sunrise" over the horizon. The beach and sea portrait and feature both low and high tide with each its particularities. Low tide is enjoyed for unless walks on the coral barrier reef to see its living little creatures, and a wonder away and ride is much appreciated on kayaks discovering at high tide its beautiful little bay and coves. Your transfer from the Pointe Larue International airport is a scenic ride along the coastal beach roads to Pointe Au Sel. The hotel offers all the comforts of an enchanting island hotel with a unique combination of casual elegance and affordability of a romantic getaway. Guest can enjoy its very peaceful and white sandy beach far from crowds. For those who prefer the swimming pool, the hotel has a nice pool with direct view of the ocean and our beautiful flowery gardens where you can enjoy the sound of the waves whilst sunbathing. © 2016 Crown Beach Hotel. All rights reserved.